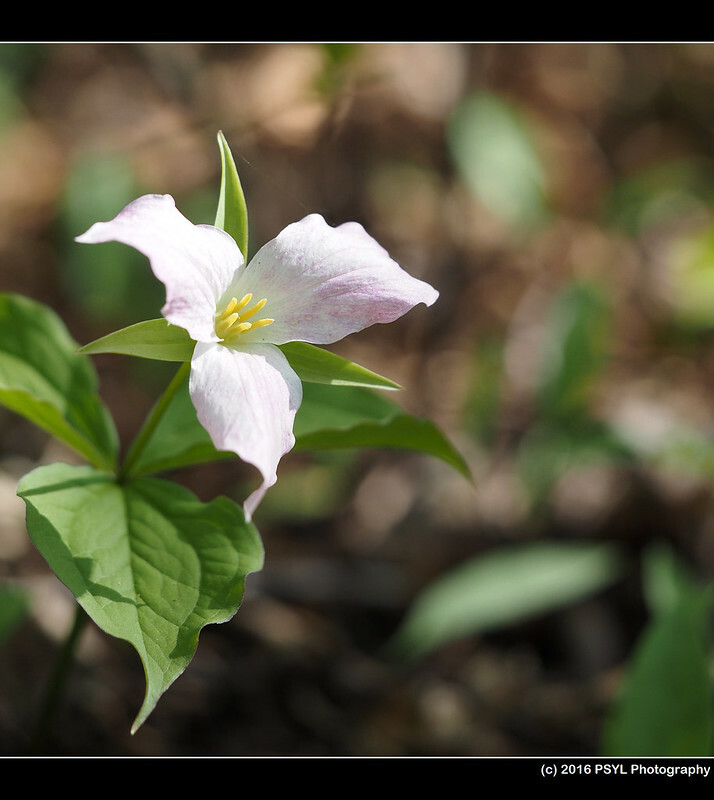 For the love of all wild things: Exploring McCarthy Woods for new warbler lifers! 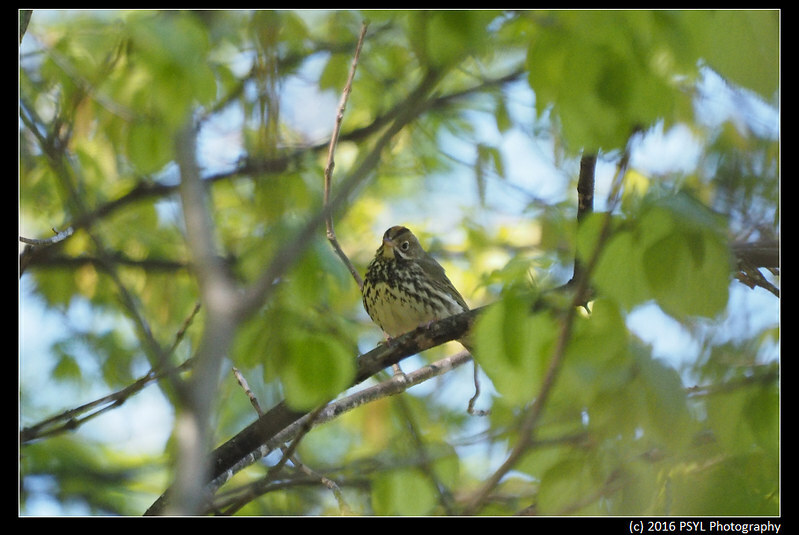 Yesterday I came across this blogger's post about all the interesting birds found in McCarthy Woods and nearby areas. So today, I went there to look for them myself. 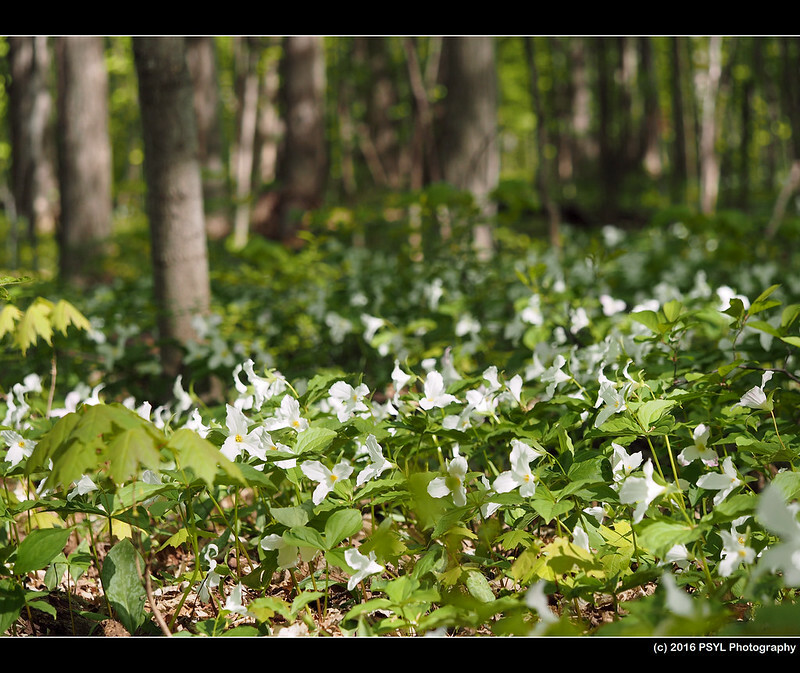 McCarthy Woods is quite beautiful this time of the year where the White Trilliums (Trillium grandiflorum) dominate the forest floor. I am a bit late this year and some of the flowers are starting to turn red already. 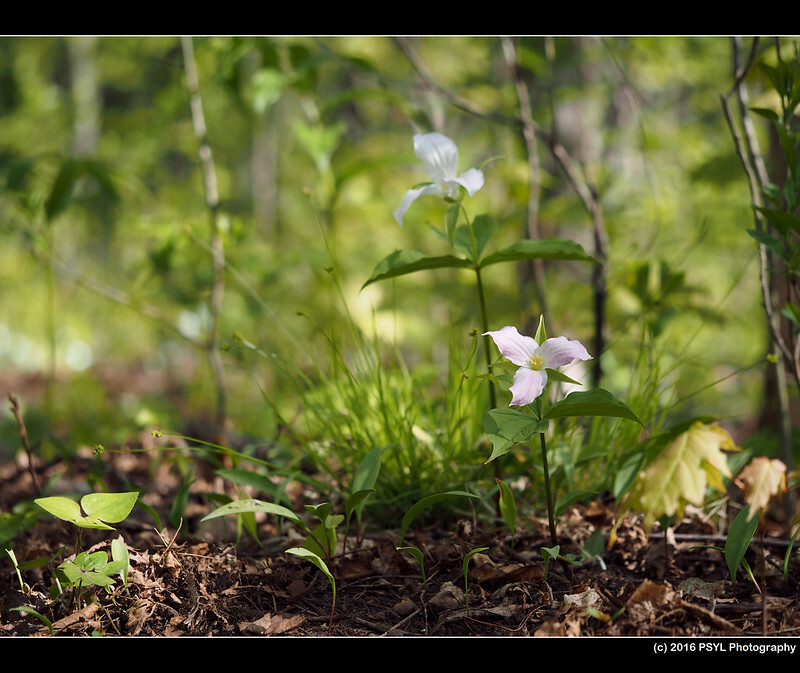 What the forest floor looks like. 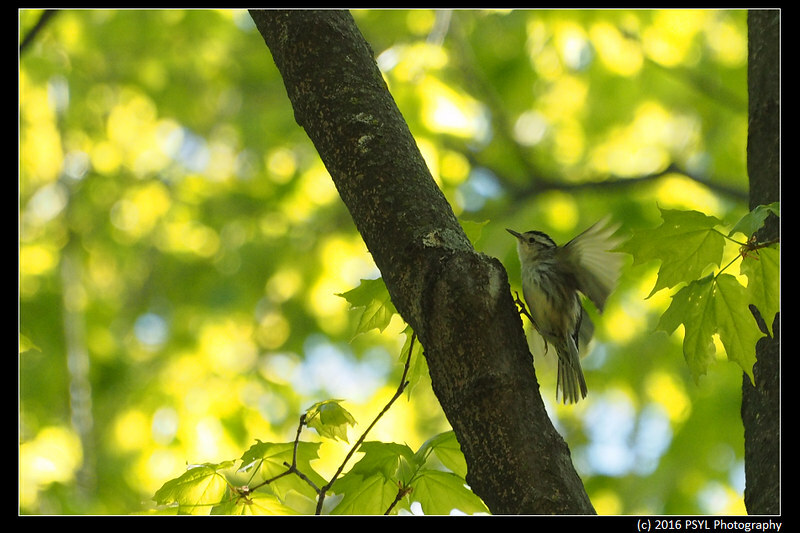 To look for warblers, I must pay attention to any movement near the treetop. The first thing I noticed was a bird moving up on a tree trunk. Initially I thought it was a Brown Creeper, but it had more distinct patterns on its face and body. 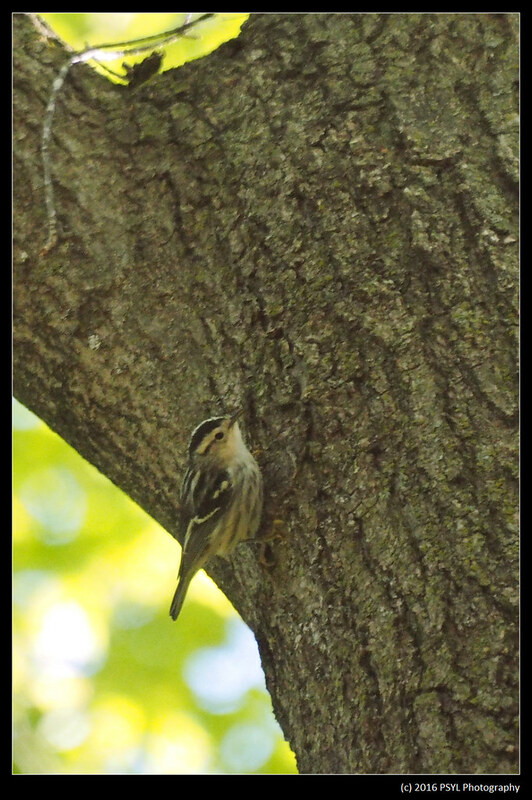 Now I am pretty certain this was a female Black-and-white Warbler (Mniotilta varia). Lifer #1. As I walked through the woods, I noticed a plump bird flying away and hiding in the canopy. 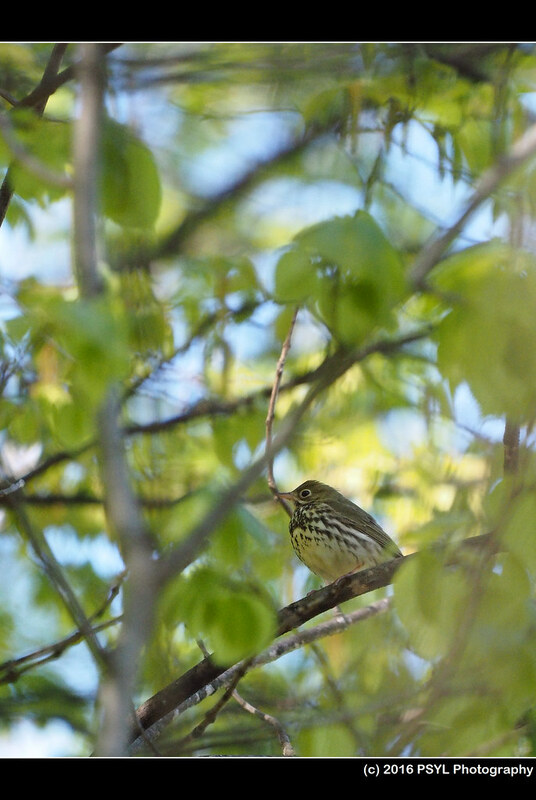 The crown stripe marked it as an Ovenbird (Seiurus aurocapilla). Lifer #2. 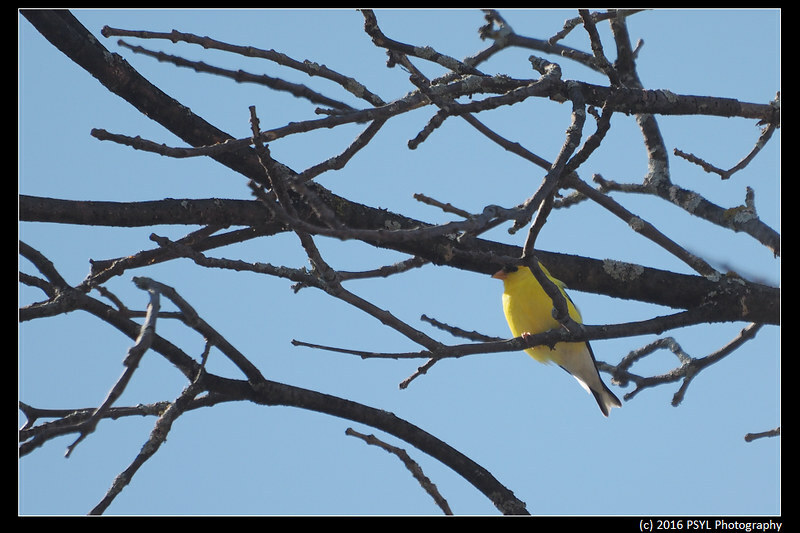 Since I don't actively seek out warblers, there are still many warblers that I have not seen before. 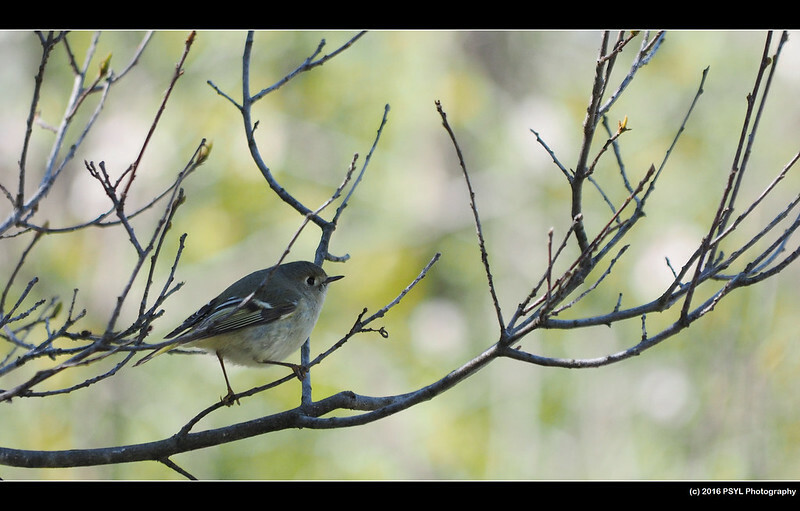 I found a small trail on the other side of McCarthy Road, and the first bird I saw was a Ruby-crowned Kinglet (Regulus calendula). First of the year! 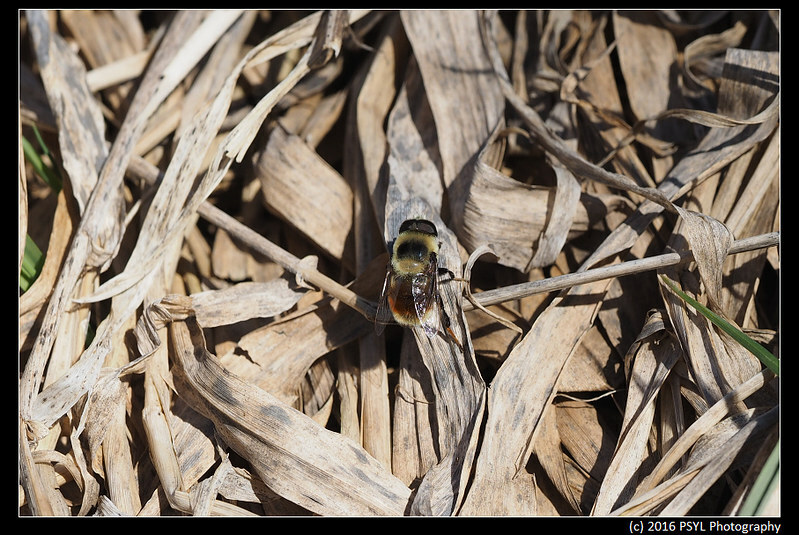 I saw this bumblebee-like fly, which I think was a Eristalis flavipes. 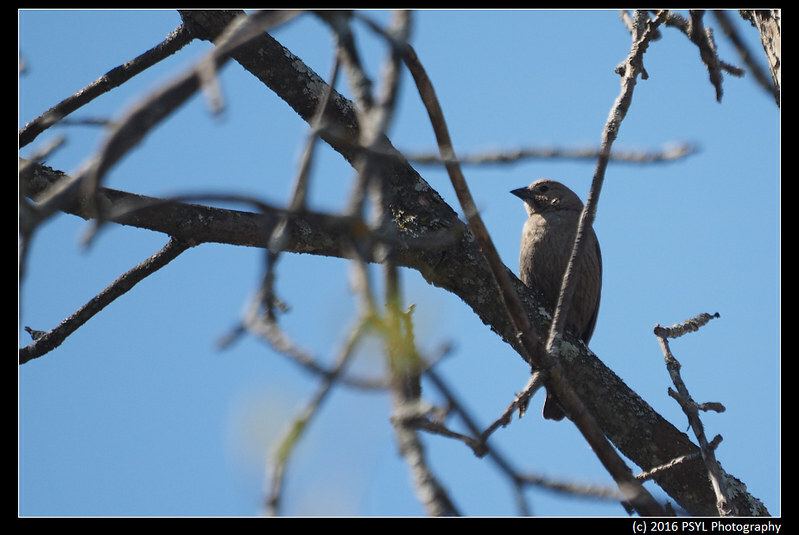 Female Brown-headed Cowbird (Molothrus ater) - another first of the year. 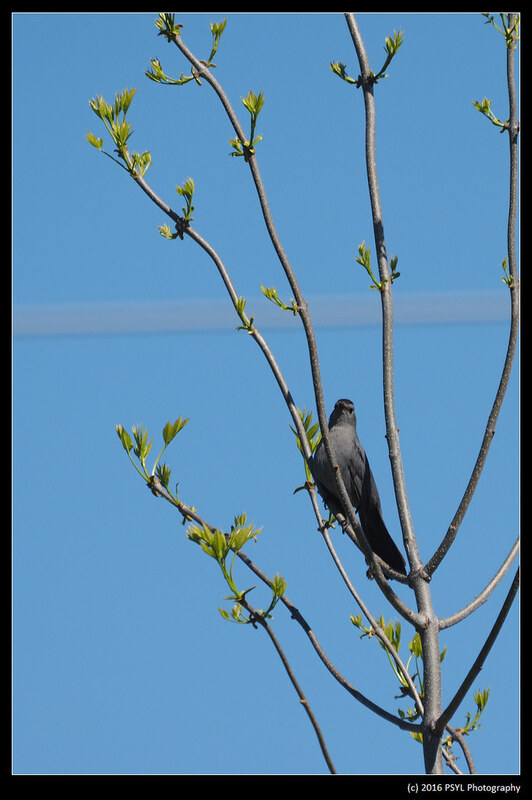 Gray Catbird (Dumetella carolinensis) singing away. 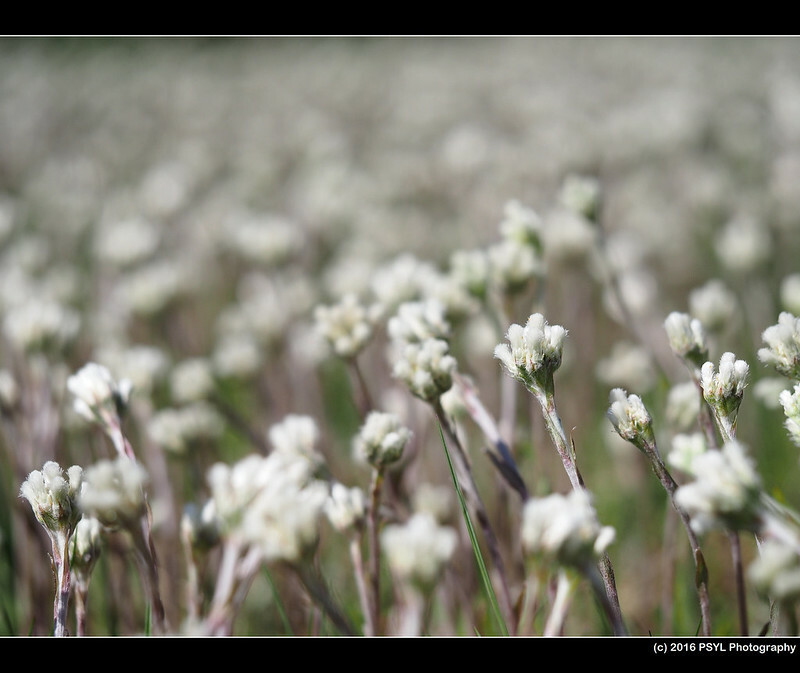 A field of Field Pussytoes (Antennaria neglecta). A pretty good outing considering I was there for less than two hours.